In 2005, Buffalo’s West Side was in rough shape. Aaron Bartley saw a need for action on community development, and set about building a base of support among the neighborhood’s residents. “We were up at around 20 to 25 percent vacant housing,” said Bartley, a Buffalo native who co-founded PUSH Buffalo to address the problem. “Once you hit 30-35 percent, neighborhoods become very vacant very quickly. There’s a threshold point at which things just spiral. “Everywhere you turn you have talented individuals and you also have this incredible built landscape of Victorian homes that have become vacant, and the nexus of those needs and interests and passions was the genesis of PUSH,” he said. 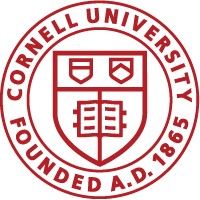 PUSH, which stands for People United for Sustainable Housing, has worked with Cornell in Buffalo and the School of Industrial and Labor Relations (ILR) since 2007. Since then, the nonprofit group has improved 120 parcels of land on the West Side, rehabilitating derelict and abandoned properties into sustainable housing and creating community gardens and urban green spaces on vacant lots. The improvements, including developing 102 new units of rental housing and four commercial units on the West Side, are a source of pride for people living in the culturally diverse neighborhood.